Thanks for all the blog comments, emails, and orders sent in the last 2 weeks. Comments on existing blogs have been admitted, and in some cases answered. There will be a lot of news to add later this week, and pictures! Meanwhile, as some of you found a previous holiday quiz so easy, I defy you to identify precisely where these were taken. 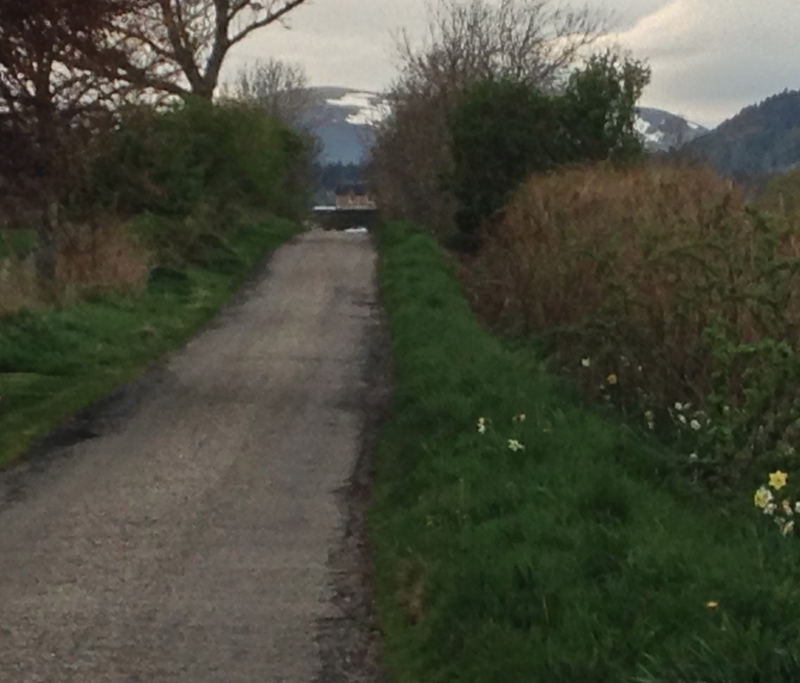 One is our forward view, the other back to the main road - and they could have been taken on the same day! Once again I underestimated my readers - or at least one of them. As Robert wrote, "Somewhere on the Cromarty Firth?" - it is indeed about a mile from Evanton on the northern shore of the Cromarty Firth. Quite a lot of sea-birds especially shelduck, eider ducks, scaup (about 35), mixed gulls, mixed corvids feeding on the shore, curlew, and the obligatory oystercatchers, one pair of which was noisily mating just outside the window of the bungalow at 5.30 one morning. Not the sort of alarm call I needed!! Ian, I know very little about U.K. geography, having never been there (other than a short port visit to Portsmouth when I served), but I will make a guess, and it will not be prescise by any stretch of the imagination. A snow covered mountain in the background; an estuary of some sort in front: somewhere along the coast of Wales (Scotland is my second guess). As a Yankee, I am also at a disadvantage. However, my guess is the Isle of Wight or possibly Cornwall. (These are very broad guesses). The scenes are beautiful. The residents of the south of England (including the Isle of Wight) will be disappointed at their Tourist Boards' efforts at persuading international visitors that there could be snow near the English Channel. Should have got in on this sooner.... My daughter has been living for years just over the Moray Firth from here (Forres and now near Elgin). Fabulous part of the country. So it seems we can now both claim to have used the most northerly Royal Mail Post & Go machine! !